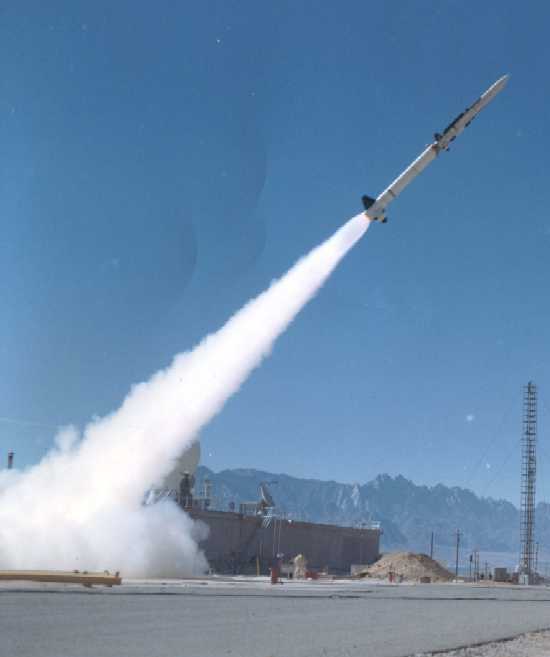 SM2-ER being fired from China Lake. Photograph courtesy of Gus Shull. The SM-2 replaces the SM-1 and adds a programmabe auto-pilot so that it can be command-guided into a homing "basket" near the projected position of the target. SM-2 was the first tactical missile to incorporate inertial navigation to guide the missile from launching ship up to the homing "basket." These missiles are also part of the New Threat Upgrade (NTU) to existing missile systems. As these missiles do not have to "ride" a illuminated beam all the way to the target, they can fly more a more fuel-efficient route thus greatly improving their effective range. 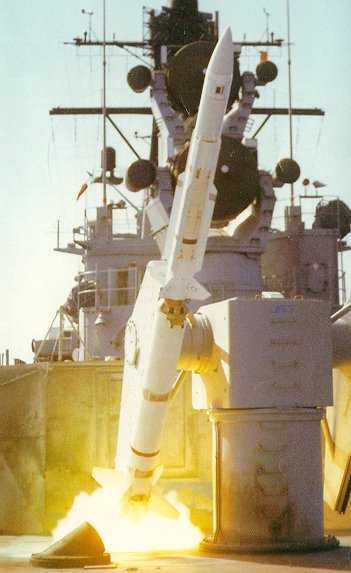 Aegis ships cannot fire the SM-2 ER as their rapid fire launchers cannot accommodate the manual finning required by those missiles. A special, shorter finless booster (Block IV) was developed for the SM-2 MR specifically for those Aegis ships with Mark 26 or Mark 41 launchers.